7" x 36" ; Our beautiful complete classic solid red oak 36" is made in the U.S.A. and hand screened.Ready to ride.All you have to do is adjust the trucks to your liking. 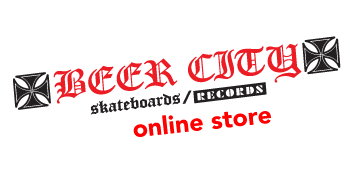 Comes with Independent trucks and risers , 88a Krypto Slammers* , Beer Nuts hardware and ABEC III bearings. Perfect for cruising around or doing some serious hill bombing. * These Krypto Slammers are blems/seconds , but ride perfectly.